In Elizabethan London, a wild plot is aflame. The Queen is in danger, and Kitty is embroiled in a mass of secrets, spies and betrayals. 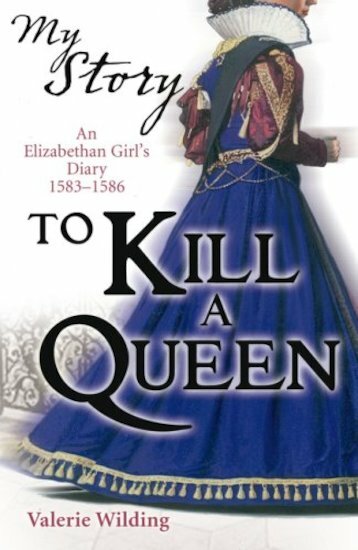 As Queen Elizabeth’s enemies plot to kill her and place Mary Queen of Scots on the throne, Kitty’s father is doing secret work for Elizabeth, and her brother is mixing with suspicious characters. With Mary’s supporters edging closer by the minute, will they all end up in the Tower? I loved this book. It was interesting and exciting and I couldn’t stop reading it. I would definitely recommend this book to all my friends and anyone else interested in history. I thought it was amazing! It made me relise how dangerous it was to be queen back then. I also learned about life in the tower and gruesome excecutions. I have also read the prequel and love both!